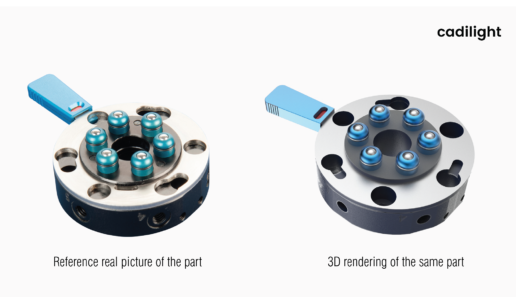 In this project we have been challenged to prepare 3D industrial animation working as a promotional video being shown at trade fairs by Dentec - Polish company specialized in designing application-dedicated grippers for robots. If you are interested in having your machines animated, follow the article below to find out about all the steps of animation designing process, set goals and final result we achieved. Dentec is an innovative, fast-growing, young company providing dedicated solutions to its industrial customers. 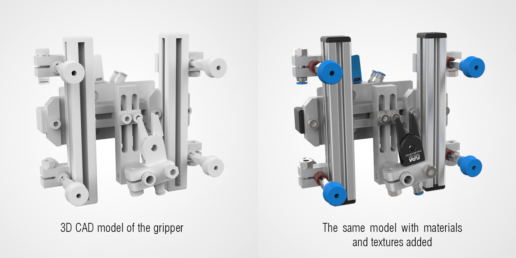 They design vacuum grippers for arm robots and prepare fully automated machines combing techniques of computer vision, precise manipulation and others. At the same time they are exclusive distributor of one of the market leader in vacuum technology components, FIPA Gmbh company. Togheter with Dentec sales specialists we decided to split animation for two main parts. In the first half of the project we were supposed to present process of reception molded part from the injection molding machine. 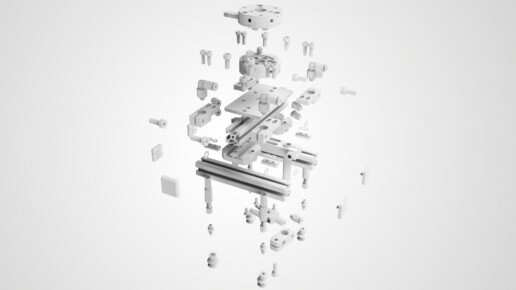 In the second one, we focused on the gripper itself and FIPA components it had been built from. 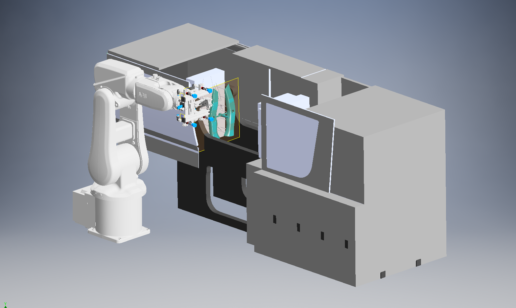 To achieve these goals we started with 6-axis ABB arm robot movement simulation done in CAD softwere. That was crucial to perform real relationships between all the axises. In the next step we started working with rendering software. That was the most relevant part of the project. Firstly we had to set all camera angles with its changes and initially adjust lighitng settings. 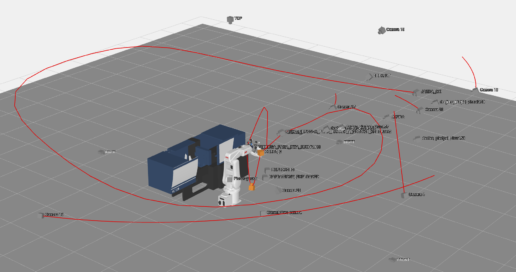 Then we designed all the movement’s of the other model’s parts moving in the animation. In the next step we set all the materials in the project. 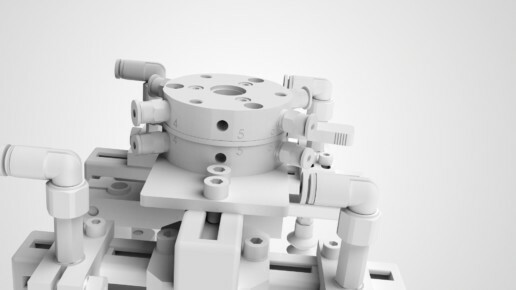 That includes type of material, textures, labels and parameters like roughness and many others. In industrial animation design we have to very precisly define all the materials. That refers also to the parts appearing only for a very short period of time in the final animation. The last step of our work was post-production process. Beasically, that was about adding callouts pointing specific parts of the gripper and final animation of Dentec logotype. Would you like to have you products animated like this? Simply conact us to discouss details of your project.